The Last Essential Points and the Summary. This is the last article about Japanese mobile market lasted from first article (“Top grossing apps in the Galapagos Island- Japan.”) till third article (“Optimal Creatives for Japan Mobile Market”). I will discuss the last important point for non-Japanese companies to expand in Japanese market and also summarize the previous articles. Some of the top selling apps introduced in the first blog post climbed up the grossing ranking after release by making many adjustments, however many were before the pre-register promotion became prevalent. Recently, as pre-registration promotion is more cost-effective, it has become a trend to aim for 100,000 pre-registrants or more. Image 1. Comparative examples of paid user rate results in different campaigns. It is recommended to start consulting about promotion when there is some time to make changes on the SS or the App size. As the pre-registration promotion will start one month before the app release, it is better to start consulting 3 months before the release or at least 2 months. 2.The minimum requirements for promotion in Japan. I have summarized the minimum requirements for promotions in Japanese market for pre-registration phase and after the app release. Teaser sites are crucial to maximize the number of pre-registrations. In Japan, it is popular to register with email address in teaser sites. 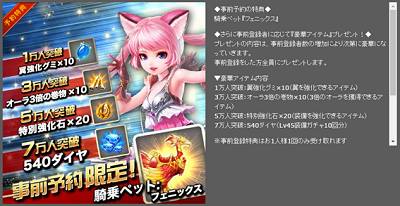 As for the pre-registration bonus, it is common to upgrade the contents depending on the number of pre-registrations, rather than giving away a serial code for each user. The average percentage of app downloads from pre-registered users is 30%. For those who pre-registered but did not download the app, retargeting campaign can be performed to switch them to actual users. 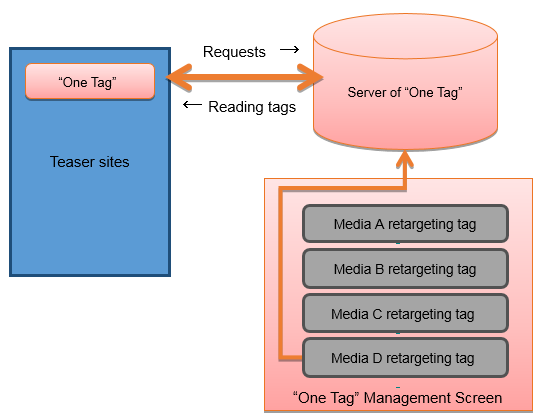 In order to perform retargeting campaign, it is required to implement the retargeting tags in teaser site and obtain marks. I will recommend using “One Tag”, if you are not able to implement tags issued from every advertisement menu of retargeting campaign. Once you settled the “One Tag”, it enables to add tags from management screens. Therefore, it is not necessary to edit html, and thus can be done by person in charge of marketing. Tracking tools are essential for promoting apps. Measuring advertising effectiveness is the purpose of using tracking tools. Furthermore, it is possible to link the advertising effectiveness and media systematically, therefore, it will enable to optimize the advertisement performance. When implementing tracking tools, app launch timing is automatically measured, though if you want to measure in-app purchaser any other particular events, then you need to have additional settings at implementation of SDK. I recommend implementing following timings as minimum requirement. ・Timing when the user joins the first Guild (for games). If you can find out the timing of active users becomes paying users, it is better to set this point additionally when you are updating apps. Needless to say, measuring In-app purchase rate is obviously necessary for measuring cost effectiveness. There are many medias using events measurement results as decision making factors when optimizing advertisement performance. To conclude, I will summarize essential points for expanding business into Japanese market from two sides, development and marketing. Image 5. Summary of essential points of expanding business in Japanese market. App marketing with a few local channel in Thailand. Key to a success in Thailand: payment methods. Overseas title taking up the top grossing ranking in Thailand. One of the most mature markets in Southeast Asia; Thailand. 5 tips that foreign game developers should know before entering Vietnam market. 【Indonesia】Chapter3: Improvements on payment methods and Internet infrastructures. 【Indonesia】Chapter2: App Marketing in Indonesia. 【Indonesia】Chapter1: Country with the biggest potential in South East Asia -Indonesia. Copyright (C) ADWAYS INC. All Rights Reserved.